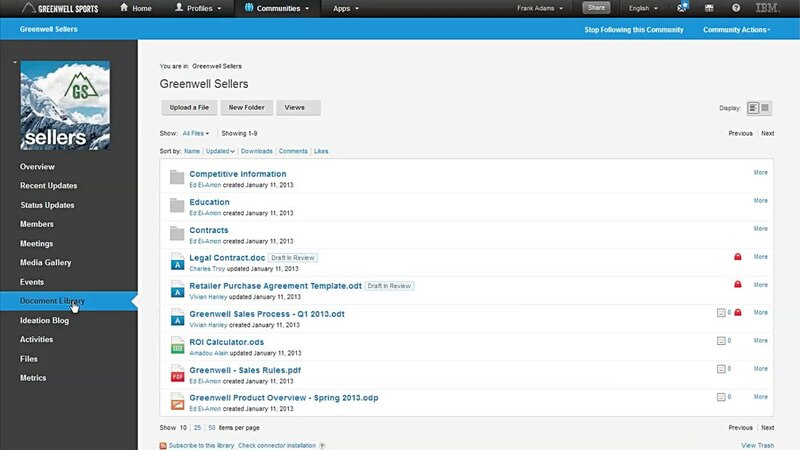 IBM® Connections™ Content Manager is add-on software to IBM Connections that provides a rich social networking and content management platform. It encourages content collaboration as part of the content creation process and helps your organization improve decision-making and business results. Benefit from content management tools that are as easy to use as social networking tools. Find content and subject matter experts using social analytics, embedded search and social capabilities such as tagging, commenting and liking. Use activity streams with embedded experiences to act on content without switching context.